In his work, the radio and TV engineer typically needs easy access to cable tubes and runways, as well a ladder to reach transmitter systems installed in awkward places. Click here to see how we satisfied these and other needs of a radio and TV engineer. Electricians need to keep their materials tidy, and this requires lots of containers where different items can be stored and found again quickly when needed. Storage space for tools like power drills is essential too. And when your work involves precision and lots of very small parts, cleanliness and good lighting are a must! Click here to see an upfit for an electrician. 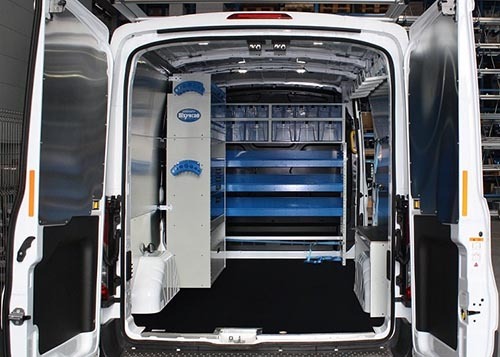 Upfit for alarm system technicians If you are an alarm system technician and want to see how you can transform your van into a fully efficient mobile workshop and stores, then this section is for you. Look here for some great ideas. Of all tradesmen, perhaps plumbers have the greatest need for a properly equipped van. The right upfit lets you carry all the material you need and even perform minor repairs and adjustments on board. 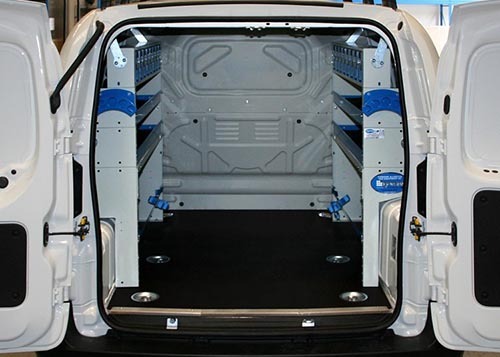 Click here to view upfits for various van models and sizes. 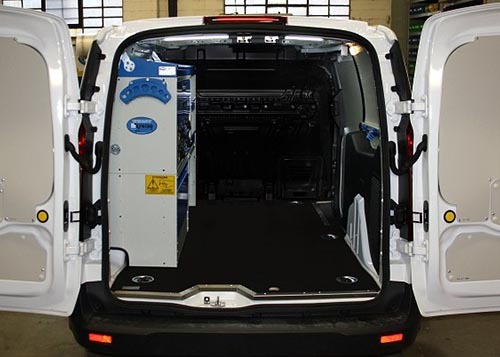 In the field of heating engineering, boiler and burner technicians really do need a van with a dedicated upfit. Look here to view some of the upfits Syncro System have installed for boiler technicians. 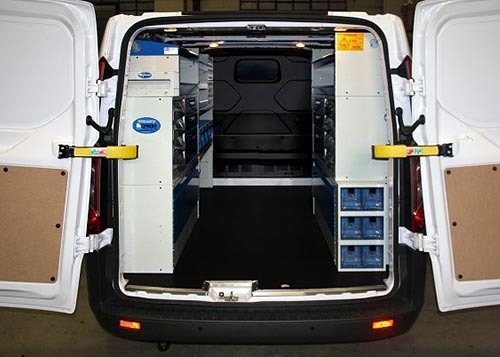 This page illustrates a van upfit for heating engineers specialising in the installation, servicing and repair of solar heating systems. Installing and servicing wi-fi systems, internet connections, and cabling often requires technicians to work under challenging logistic conditions, even at heights. 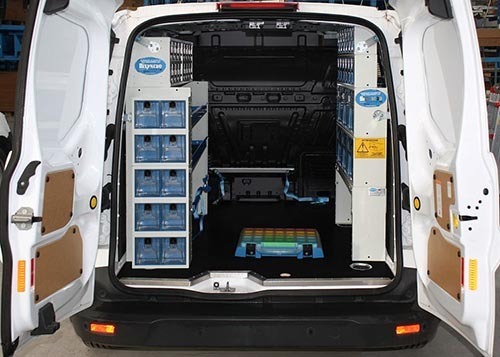 This page illustrates a van racking system customised for technicians who do these jobs on a daily basis. 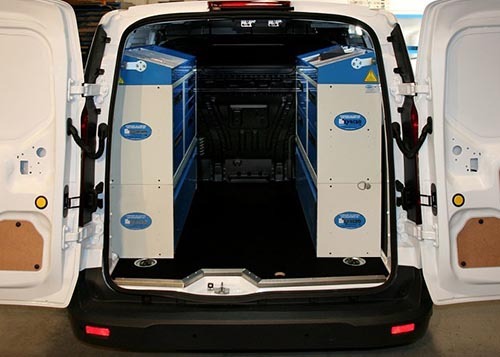 If you work in the field of air conditioning and climate control, and you want to boost your efficiency and professionalism with a custom racking system, click here to see how your own van could be transformed. 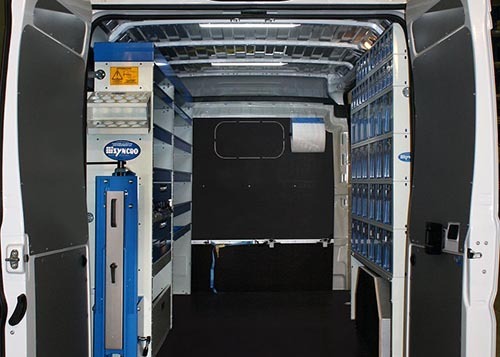 Syncro System has the perfect upfit for technicians installing cabling systems in civil and industrial buildings. 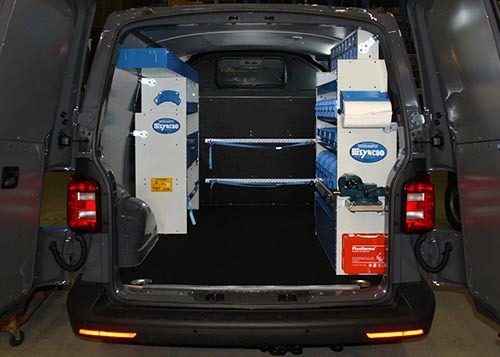 Click here to view an example of a van equipped for this purpose. 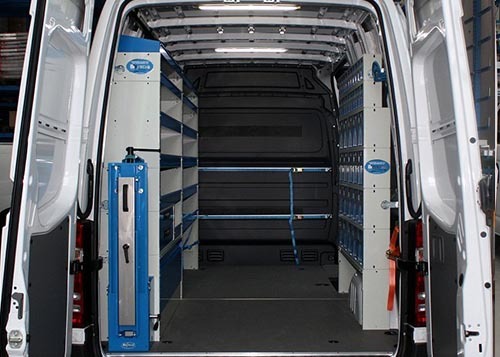 This section contains interesting examples of Syncro System racking solutions for system installation and service technicians.